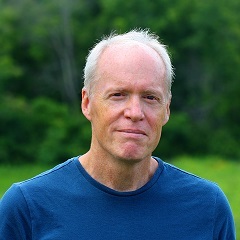 Keith Lewis has been designing and making jewelry in the Hudson River Valley for over twenty years. His signature earring is a kinetic (moveable) geometric shape on an earwire. All the earwires and findings are designed to allow the jewelry parts to move while being worn. Using contrasting and complementary finishes along with unique construction, his designs offer a wealth of metalworking techniques. Milled sterling sheet is cut into shapes and formed by hand, then polished or satin finished, bead blasted or patterned with masking. They are plated with gold, oxidized with a patina or textured by transferring the pattern of a hardened photo-etched sheet of metal to the raw sterling by hand-rolling them together in a rolling mill. 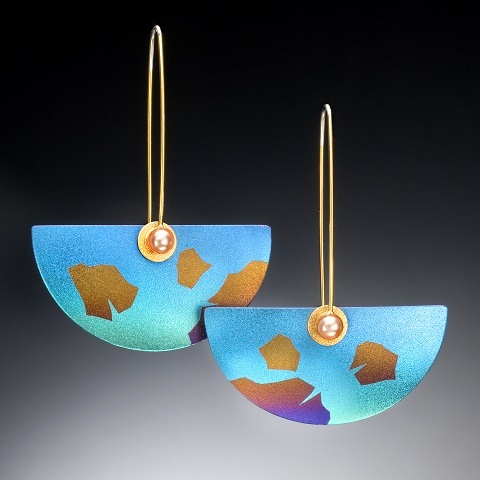 Additional finishes are created with patinaed brass, anodized Niobium and heated copper, using a Japanese technique where copper is heated until brightly glowing and then plunged into boiling water to create a plum red appearance. 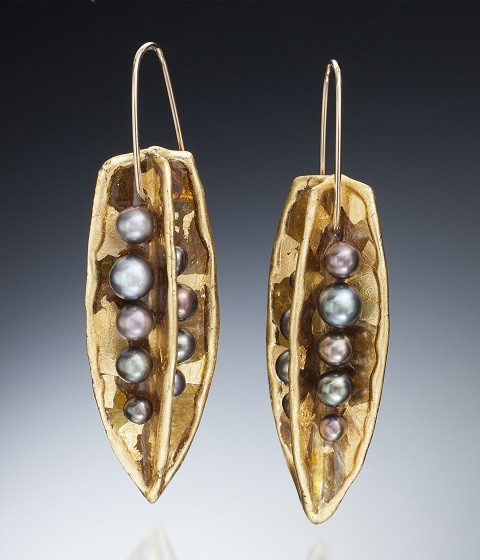 Growing up in Europe and the Far East, Keith Lewis became interested in crafts at an early age. 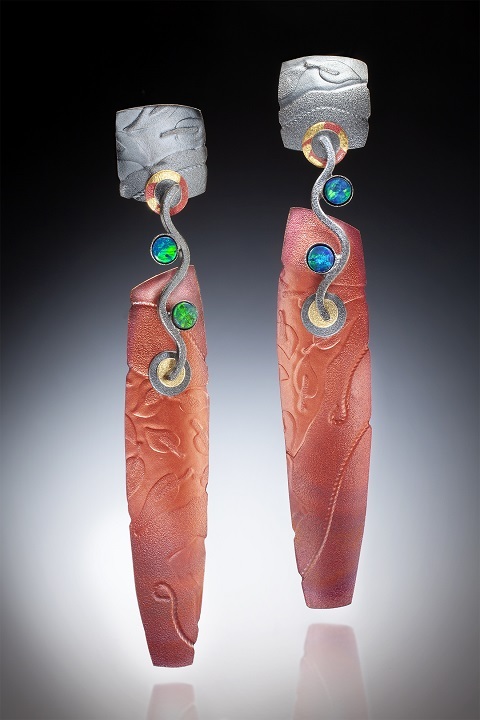 He learned to cut stones in Korea in 1968 and graduated with a Masters of Fine Arts in Goldsmithing in 1981. Ever since, he has been doing his best to make friendly, affordable, easy to wear sterling jewelry with interesting finishes. His goal is to make your favorite earrings.